Pressure Transducers are perfectly adapted to measure pressure on your circuit breaker. It is compatible with the CBA-32P. Pressure transducers convert pressure into an analog electrical signals. The conversion of pressure into an electrical signal is achieved by the physical deformation of strain gages which are bonded into the diaphragm of the pressure transducer. Pressure applied to the pressure transducer produces a deflection of the diaphragm which introduces strain to the gages. The strain will produce an electrical resistance change proportional to the pressure. 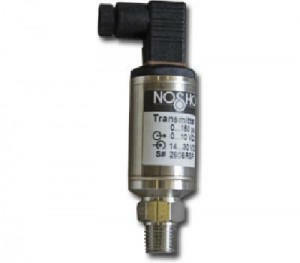 This pressure transducer offers a very high measurement precision in very “noisy” environments. Connected to one of the analog inputs of the CBA-32P, you will be able to visualize the results via CBA WIN© software.